Alex McHenry’s world stood still the day her father passed. She was 19, studying to be an art teacher, and living happily like any other college student. Then abruptly, her life was reduced to funeral arrangements, depression, therapy, and the responsibility of caring for her mother, who retreated to the couch to take solace in the artificially cheerful hosts on the Home Shopping Network. After more than a year of living frozen in the moment of her father’s death, Alex decides to take the first steps out of her grief. She enrolls in a paramedic program and during one of her first classes, she meets Megan Callahan, a pretty but aloof medical student who comes crashing into her life at the most unexpected moment. 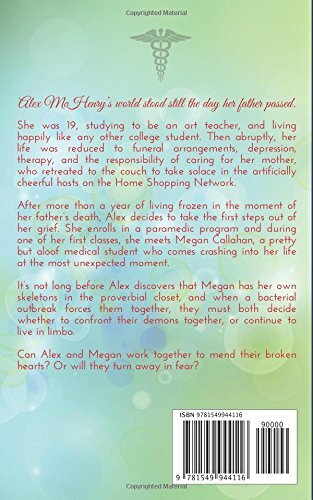 It’s not long before Alex discovers that Megan has her own skeletons in the proverbial closet, and when a bacterial outbreak forces them together, they must both decide whether to confront their demons together, or continue to live in limbo. Can Alex and Megan work together to mend their broken hearts? Or will they turn away in fear? 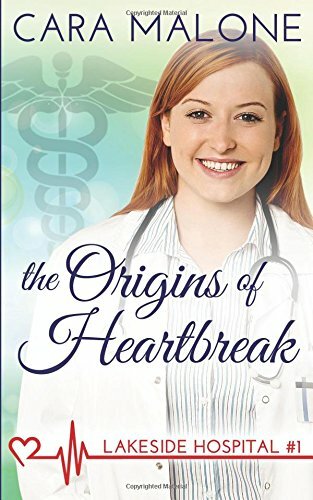 This is the first book in the Lakeside Hospital series. Each book can be enjoyed as a stand-alone novel and the series can be read in any order.